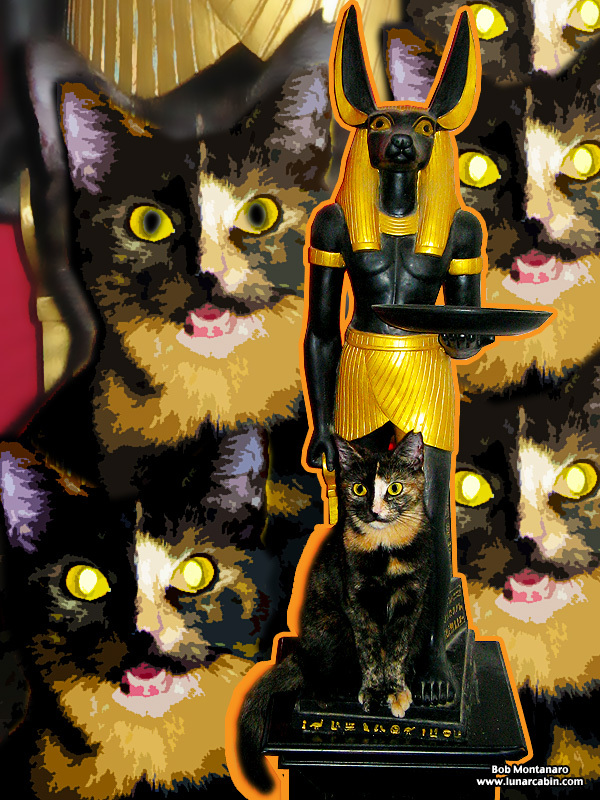 Mara the kitten sits at the feet of Anubis, one of the ancient Egyptian gods. It is thought that Anubis, a jackal headed man, became associated with the dead and the afterlife because of the wild dogs and jackals that would often be seen in ancient Egyptian cemeteries, often digging up and eating the dead. You find the most interesting tidbits, Bob!